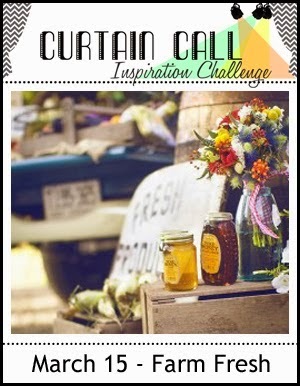 I made this card for the current Curtain Call Challenge - Farm Fresh. I used a Papertrey Ink Stamp set called Farm Fresh. I put the stamped images on Burlap Ribbon from Hobby Lobby. I colored the Burlap Ribbon with Tsukineko Antiquing Solution Sprays. I used PTI inks - Summer Sunrise, Dark Chocolate, Royal Velvet, and Enchanted Evening. I also used Archival Black and Stampin' Up Riding Hood Red. The banner die is from PTI. I attached the paper onto he burlap with Ranger Glue & Seal which worked great. I put the burlap on a piece of wood board patterned paper. Thanks for stopping by! What a unique card and a great take on this challenge! I love the burlap background. Thank you so much for sharing with us at the Curtain Call! Now how fun is this?! Love it Donna! Your card is just too too too cute for words! What a keepsake for the new home owner! 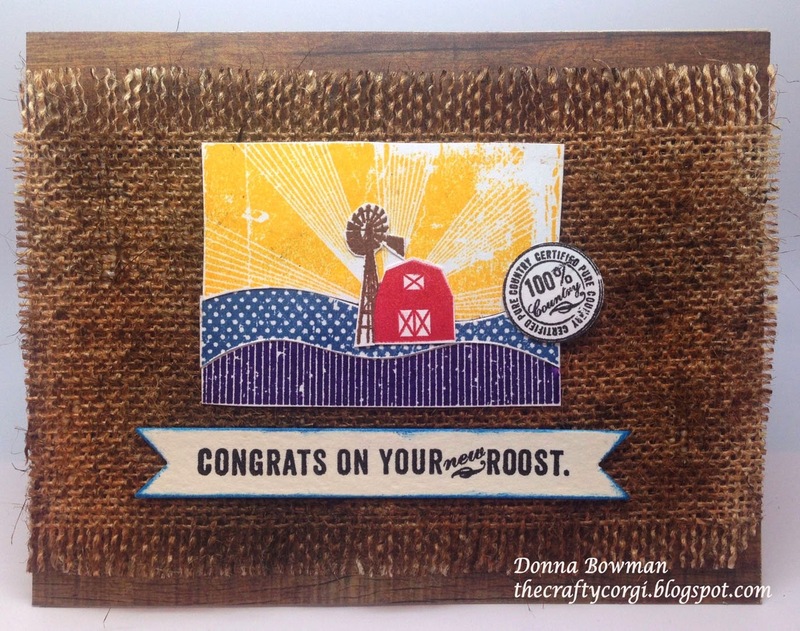 I really like the burlap and your whole layered scene!